Chicago (Sept. 27, 2006) – Undergraduate enrollment for the fall 2006 semester has reached an all-time high at Saint Xavier University, the ninth consecutive year of growth. With 3,339 undergraduate students, the Univrsity is 46 percent larger at the undergraduate level than it was nine years ago, before it launched strategic enrollment management initiatives. In addition to having the highest undergraduate population ever, Saint Xavier also has its highest resident population ever, in keeping with its strategic goals. “We’re growing, but we’re more than growing. We’re moving toward our strategic vision of becoming a leading comprehensive Catholic university,” said Kathleen Carlson, vice president for research, planning and assessment. This fall brought an all-time record number of freshmen (538) and an all-time record number of undergraduates (3,339) to Saint Xavier. Overall, student enrollment increased about 13 percent this year. Undergraduate enrollment at Saint Xavier has increased 18 percent in five years (since 2001), and 46 percent since fall 1997. The Class of 2010 consists of students from 18 states across the country, including Washington, California, Arizona, Texas, Georgia, Florida and Massachusetts. This freshman class is also the strongest academically, with 14 percent of students eligible for the rigorous freshman honors program and the largest entering class of honors students (27 percent more than last year). “We are particularly proud of the fact that we continue to expand our racial and economic diversity as we advance the academic profile of new students,” said Beth Gierach, assistant provost for enrollment services. Saint Xavier University was recently recognized as the 10th most diverse campus in the greater Midwest in U.S. News and World Report’s 2007 college rankings. The Class of 2010 is also the most racially and ethnically diverse, with 35 percent being African American or Hispanic. This is the first year that the majority of new freshmen (53 percent) are living on campus. In October, the University will dedicate its newest residence hall, Rubloff Hall, one of the first university residence halls in Illinois seeking certification as a “green building” according to federal environmental standards. The number of resident freshmen at Saint Xavier increased 51 percent in fall 2006, compared with fall 2005. Saint Xavier’s resident population stands at 720 this year, compared to 280 in fall 1997. Because Illinois has long been a net exporter of college freshmen, with more Illinoisans leaving the state to attend college, Carlson said Saint Xavier began aggressively recruiting students from out-of-state. This fact, coupled with forecasts that the future population growth among 18-year-olds is leveling off except for in some key areas of the United States, prompted Saint Xavier to focus its attention on building its resident population and recruiting students from wider geographic areas. 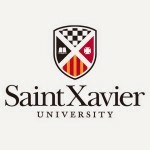 The University’s strategic plan calls for Saint Xavier to have a minimum of 1,000 resident students by 2009, and the University has been steadily building toward that goal ever since. Founded in 1846 by the Sisters of Mercy, Saint Xavier University is a comprehensive Catholic university serving more than 5,700 students at its campuses in Chicago and Orland Park. The University offers 35 undergraduate majors and more than 40 graduate program options in arts and sciences, business, education and nursing with day, evening and weekend courses to fit busy schedules. Saint Xavier University, a Catholic institution inspired by the heritage of the Sisters of Mercy, educates men and women to search for truth, to think critically, to communicate effectively, and to serve wisely and compassionately in support of human dignity and the common good.